Oh how I love the touch of nature! I find great comfort when trees and leaves are within my midst. 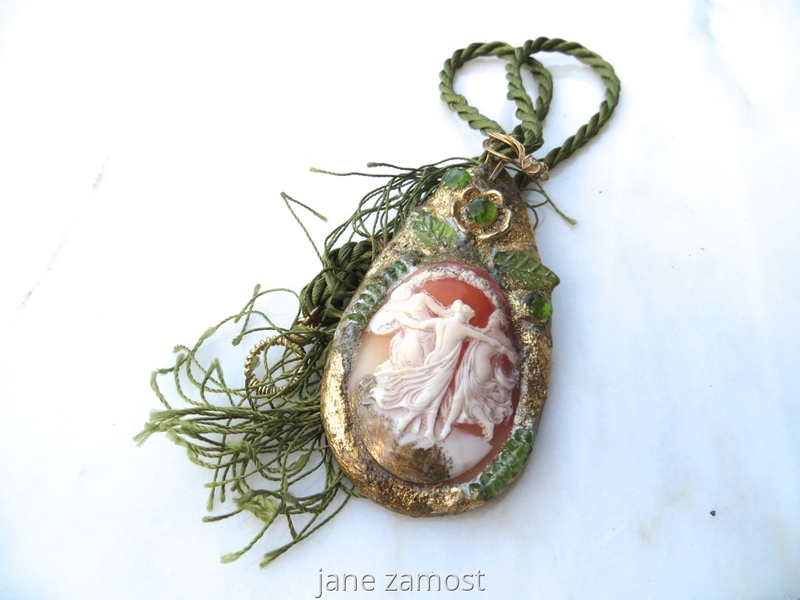 What better way to merge my great fondness for vintage finds and nature than with this beautiful necklace comprised of a lovely cameo, brilliant peridot, discoveries of antique leaves on a fabulous fabric cord of green -- the joyous color of the Spring season.